There are thirteen members on the Metro Board of Directors. Five of the directos are the L.A. County Supervisors. Another four come from areas of Los Angeles County through local nominating boards and a weighted vote of L.A. County cities (excluding los Angeles). Last, the Mayor of Los Angeles is automatically on the Board, and he appoints three other positions. These answers were not very revealing. Over the last couple of years, Mayor Antonio Villaraigosa’s appointees included former Assemblyman Richard Katz, Mel Wilson, and Los Angeles City Council Member Jose Huizar. Huizar and Katz both publicly and actively backed the candidacy of Wendy Greuel, who lost to Garcetti last week. 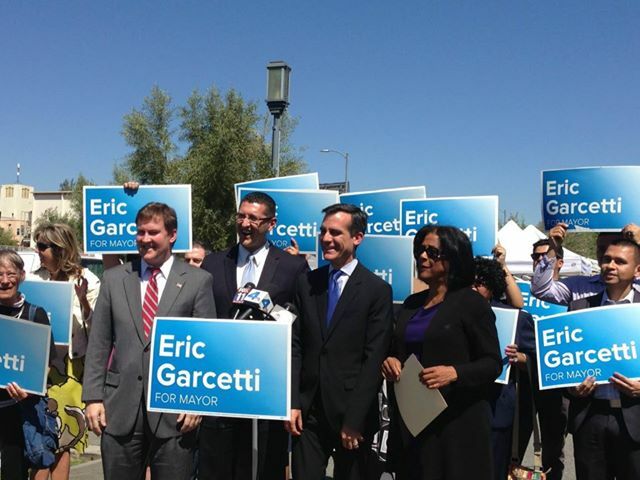 For the sake of discussion, we’re assuming that Garcetti will replace Katz and Huizar with campaign supporters. We’re also assuming that Wilson, a steady vote for Villaraigosa’s priorities, will probably be replaced as well. So who do I think would make a good team for Mayor Garcetti on the Metro Board? My picks, which take into account politics, experience, and competence, come after the jump. A note, these are not who I would pick if I were Mayor nor who I necessarily think he’ll pick. They are more like people I would pick if I were Eric Garcetti. Being on the Metro Board doesn’t come with large salary, but it does come with prestige, power and a platform to angle for other elected office. If I were Garcetti, I would pick: Council Member Mike Bonin, Former Council Woman Jan Perry and Jaime De La Vega. There’s always pressure on the Mayor to appoint a City Council Member to the Metro Board. During Streetsblog’s five and a half years covering Metro, the Council was represented by Bernard Parks and Jose Huizar. When Huizar couldn’t make it, Tom LaBonge would fill in. Transportation Committee Chair Bill Rosendahl made a lot of noise about how he wanted to be appointed, but Villaraigosa went in a different direction. Both Parks and Huizar are on the Transportation Committee. While Bonin is new to the City Council, he’s certainly no outsider to City Hall or transportation issues. In addition, the battle over the route of the Westside Subway will be a heated one, and Garcetti and the City of Los Angeles could use a Westside Council Member to lead the charge. Despite his current boss' endorsement of Wendy Greuel, Mike Bonin backed Eric Garcetti in the Mayor's Race. Bonin has also said he wants to be part of the Transportation Committee. Even if he doesn’t receive that committee appointment, he has been the Chief of Staff for the Committee’s Chair for the last four years and will likely be keeping Paul Backstrom on staff, who has established himself as something of an expert on transportation issues in his own right. Perry may seem an odd choice, as she’s already on record opposing the current route for the Westside Subway while Garcetti has expressed approval for the route. However, her time as a Council Woman for a dozen years makes her a good person to be the Mayor’s point person on several transit issues. Under redistricting, Perry’s old 9th District was changed to mostly cover South Los Angeles. However, originally her district included portions of Downtown Los Angeles that will be impacted by the Regional Connector project. Perry also served as Chair of the Expo Construction Authority for a couple of years. Last, to state the obvious, to have a powerful and well-respected African-American politician representing the Mayor on issues related to the Crenshaw Line is a bonus for the Mayor. These experiences make her a perfect point person for any issues that come up during Expo Line Phase II Construction or planning and possibly early construction of the Regional Connector and Crenshaw Line. Both Bonin and Perry were loud supporters of the Garcetti Campaign. Jaime De La Vega did not publicly endorse a candidate, which is common for General Manager’s of city departments. The LADOT General Manager, who also served Villaraigosa as Deputy Mayor for Transportation, has experience in transportation policy going back to the Clinton Administration. If Garcetti is serious about “speeding up” construction of Measure R projects, keeping Villaraigosa’s point person on board his team is an easy decision. De La Vega stayed out of the Mayor's Race. There is recent precedence for an LADOT General Manager to serve on the Metro Board of Directors. Rita Robinson, De La Vega’s predecesor, briefly served on the Board in 2009 and 2010. Of course, there are literally hundreds of good (and interesting) choices available for these plum positions. Mitch O’Farrell, who will replace Garcetti in his old Council District and LaBonge, another supporter of Garcetti and a long-time member of the Transportation Committee, have both made noise about being appointed to the Board as well. Of course, Garcetti could also pul la wild card out of the deck, or choose to keep some of Villaraigosa’s team despite the availability of other qualified people. If you have better suggestions than I, leave them in the comments section. We’ll update Streetsblog the moment we hear news on Metro Board appointments. How about someone outside the box? Why not Damien Newton? Someone on the board to speak up for cyclists and pedestrians as articulately as he does is long overdue. I was thinking the same. Jan Perry? Meh, Jaime De La Vega? Blah. These people represent the same old trotted out policies. If Garcetti is seriously committed to transportation alternatives as he claims, how about getting someone who represents these voices. There is hereby created the Los Angeles County Metropolitan Transportation Authority. The authority shall be the single successor agency to the Southern California Rapid Transit District and the Los Angeles County Transportation Commission as provided by the act that enacted this section. (b) The Mayor of the City of Los Angeles. (c) Two public members and one member of the City Council of the City of Los Angeles appointed by the Mayor of the City of Los Angeles. (e) If the population of the City of Los Angeles, at any time, becomes less than 35 percent of the combined population of all cities in the county, the position of one of the two public members appointed pursuant to subdivision (c), as determined by the Mayor of the City of Los Angeles by lot, shall be vacated, and the vacant position shall be filled by appointment by the city selection committee pursuant to subdivision (d) from a city not represented by any other member appointed pursuant to subdivision (d). Notwithstanding subdivision (c) of Section 130051, if a member appointed by the Mayor of the City of Los Angeles is not a member of the city council of that city, the person appointed may serve for 60 days without consent of the city council. (a) Except as provided in subdivision (b), each member of the Los Angeles County Metropolitan Transportation Authority shall serve a term of four years or until his or her successor is appointed and qualified. A member may be removed at the pleasure of the appointing authority. A member may be reappointed for additional terms without limitation on the number of reappointments. Other than the member initially appointed by the Governor, and members appointed to staggered terms pursuant to subdivision (e) of Section 130051, the members initially appointed shall serve until January 1, 1997. (b) The membership of any member serving on the authority as a result of holding another public office shall terminate when the member ceases holding the other public office. Can I saw Jan Perry, double meh? Jaime already served on the Metro Board during his years as Mayor Riodan’s transportation deputy. Would he seriously want it. Garcetti has said at least one of the public members will be a transit user, I believe from South L.A. For balance I’d suggest Kymberleigh Richards from the San Fernando Valley. She has been on the SFV Service Council since its inception and from years of activism is steeped in policy. Damien: Real bad choices. Bonin would be fine for Council T-Cmte, but he has no Metro experience. Jan Perry is a backer of Jim Thomas’ FAST proposals and is really out of touch with Metro issues. Jaime was on the Metro Board long ago and he is currently on the Metrolink Board. It should be noted that Kym Richards was a huge Wendy Greuel supporter and isn’t considered a “thought leader” by those inside the Metro Staff. The guy that has been most responsible for helping Metro and Metrolink is Richard Katz. The institutional knowledge and his political connections are invaluable. He is the one to keep. Tom LaBonge is loopy and wouldn’t be good to return to Metro. One Councilmember to keep in mind was / is a huge Garcetti supporter: Bernard Parks, who may get a return pass back to the Metro Board. Eric may bring someone in from UCLA such as Brian Taylor. Stay posted. I do hear rumblings behind the scenes the main push is to have Katz stay of the Board. Kym is well aware she has rubbed some staff the wrong way — I even was the one who told her of a recent outburst aimed at her by a staffer that a local activist witnessed and shared with me. Bernie? After that whole Expo color naming thing most of us would be unenthused. Anyway the calculations behind who is appointed can be totally inexplicable. Anyone else remember the barely conscious warm body Jose Legaspi? Yikes! Ok, so assuming that there will be a City Council Member on Metro Board, I hear Parks as a possibility. Anyone else? It’s not a bad idea to put an advocate on the Board, someone who has been in the trenches. If I were Mayor in fantasy land I would probably keep Katz, appoint the T-Comm chair (assuming he or she is on board with most of my proposals) and then someone from the advocacy community (ditto). Not necessarily a Bart-Dana-Kym-Damien high profile leader, but someone who has worked on the issues and knows them well. More of a Darrell Clarke/Jerard Wright type. I agree Kym Richards would be an awful choice. Not only does she rub staff the wrong way she also unloads on college students who are sharing their ideas – http://boardarchives.metro.net/ServiceSectors/SFV/20130306OtherSectorSFVItem2.pdf and http://libraryarchives.metro.net/RMC/San%20Fernando%20Valley%20Service%20Council/audio-2013-01-02-san-fernando-valley-service-council-part01.mp3 – and has a poor control of her temper. I am surprised she hasn’t been removed yet. Allison Yoh was one of the brighter MTA board members of recent years. Someone like that (Juan Matute!) could be a good choice. Or someone from the bicycling/pedestrian community, which heretofore has not been represented on the MTA board. One could dream. The person I would put on the board is the author of the above comment, as he knows far more about the workings of Metro and the politics of transit in this region than all the individuals who have ever served on the Metro board combined. I think that any past ownership of any vehicle produced under the Hummer brand automatically disqualifies said person from making decisions about public transport. For the past decades, many administrations (including Villaraigosa) have appointed non transit rider in Metro board. Metro board members really need at least one person who ride transit all the time. The handicap may qualified because many of them don’t drive. They either take public transportation or beg someone to give them the ride. They can demonstrate even if they leave their homes 3 hour ahead of time, they are stil late to reach somewhere that is nearby for car drivers. LA public transit has been hijacked by rail riders. No, I am not talking about transit riders that ride train if they have to. I am talking about the train rider who drive cars to train station during rush hours. They take train for fun. If train station is more than couple blocks away from destinations, they drive. They have no sympathy to non car drivers. That is the reason many of “purported” rail riders don’t give any sympathy to bus service cut. That is the reasons those purported rail riders compalin about lack of parking space. MTA must implement public transportation that benefit the non car drivers. Having someone who’s thinking about the big picture interactions between emerging changes in transportation and land use preferences, especially among younger people who experience technology differently than those in the cohort of existing board members (over 40). Metro’s becoming a bigger part of younger people’s lives – it seems young people are aspiring to move to places with better transit service instead of aspiring to buy a car. Brian Taylor lives in Los Angeles and could be considered. I live in Santa Monica. I second keeping Richard Katz, who has a long history of knowing how to get things done on the Metro board. Mike Bonin gets transportation concepts and would prove to be a good appointment for anyone in favor of smart growth. Most important, I think he would push hard for a sensible Westside solution that hones in on usability. 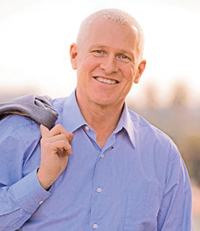 Mike Bonin is the clear choice with all the Metro Projects. Dont forget about the Valley!!!! What about a Valley Councilmember? A good fit for that could be Krekorian? Good background on legislation and has both Valley Metro Stops and the Orange line in his district. The Metro board approved contracts for pilot electric bus service on the Silver and Orange Lines. The board also endorsed a policy to electrify the entire bus fleet by 2030.